To help you take better pictures!! 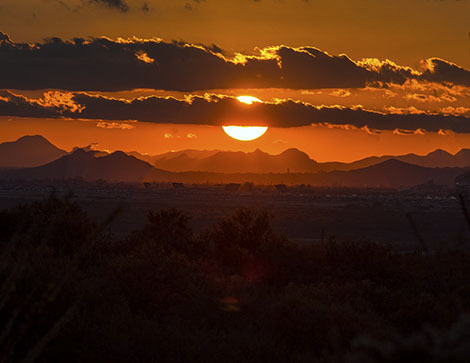 One of the biggest complaints that we hear is that sunrise or sunset pictures lack color or just don't look the way the photographer expected. This happens for several reasons, which we will address in this eTip. 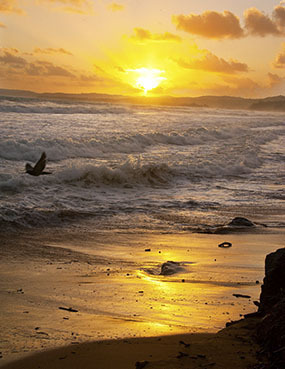 We will address the different aspects of sunrise/sunset photography that will help you improve your images. Some of these tips even apply to cell phone cameras. Although these issues may seem daunting, they can be easily resolved. The color of the source light (sun, flash, light bulbs, etc.) can have significant impact on your images. The color of sunlight changes dramatically thoughout the day. Your camera EXPECTS noon-time sunlight in all of your pictures. Any deviation, and it tries to guess what the color of the light is. It rarely gets it right. As you can see, mid-day sun ranges from about 5200 degrees K to about 5500 degrees K. But, just after sunrise or before sunset, it is VERY different - about 3000 degrees K.
Your camera tries to get the colors RIGHT - that is, it tries to make anything that is WHITE in the scene, just that - White. In doing that, it sets the White Balance setting on your camera (if you have AUTO White Balance turned on - which is the default on ALL digital cameras), you will lose the color of the sunset! Here are two images shot with AUTO White Balance and a manually-set white balance. As you can see, there is a significant difference in the color! 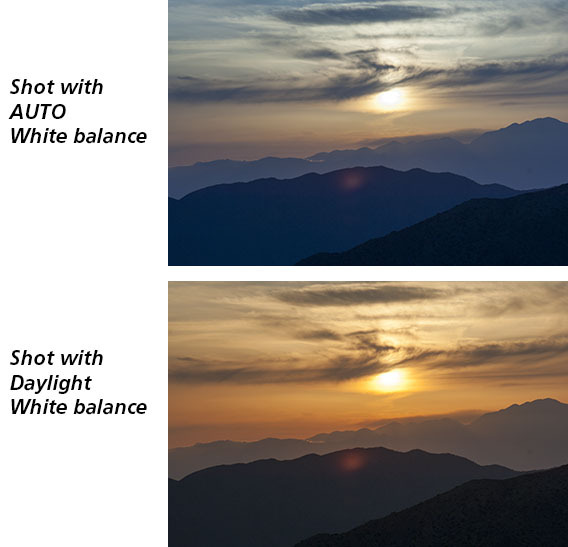 Just set your white balance to "Daylight" when shooting a sunrise or sunset, and you'll get the color right! 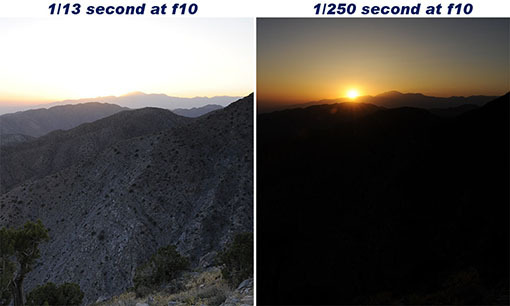 Now, you may ask, why not set the white balance to 3000 degrees K to get the right color at sunrise or sunset? The reason is that if you do that, you'll get results similar to the top image above - if you want your camera to get GREAT color in the sky, you need to exagerate the colors a bit. By setting your camera to DAYLIGHT white balance (5200 degrees K), you will get a "warming" effect - perfect for sunrise or sunset. Note: If you are shooting RAW images (instead of JPEG), you can set the white balance AFTER you take the picture when computer-editing your images. Since the sun is low on the horizon at sunrise or sunset, there are a lot of shadows. 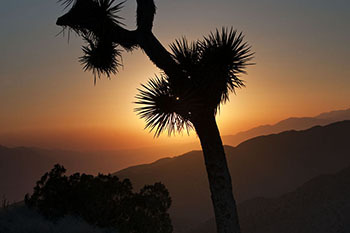 Shadows can be good for creating texture, but, there isn't much texture in a sunset image. Since the sun is SO low, these shadows tend to cause the entire foreground to be in shadow. That creates a situation for your camera that it can't handle! The sky is very bright and the foreground is very dark - that's too much contrast for your camera to capture. The sky looks fine, but the foreground is too dark - it lacks detail. This is because the camera can't capture both the highlights in the bright areas of the scene (the sky) and the shadows of the dark areas of the scene (the foreground). In order to remedy this, you need to reduce the contrast in the scene. You could use flash for the foreground, but that would make the scene look un-natural. Plus, the mid-range areas (the beach in the above image) would still be dark. The solution is a simple filter - the Graduated Neutral Density Filter. On the left is a traditional circular filter; on the right is what's called a Cokin "P" style filter - it is rectangular. Half of each is shaded to reduce the amount of light reaching the camera's sensor. The idea is that you place the shaded area over the brightest area of the scene - typically the sky. This helps reduce the contrast, allowing your camera to capture more detail in the shadow areas - typically the foreground. 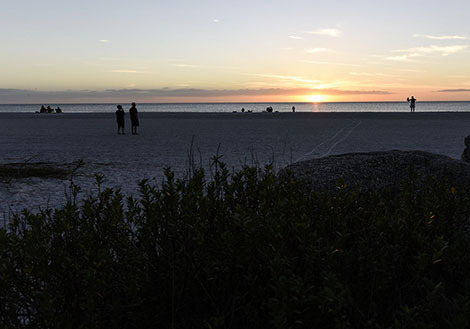 The round version of this filter is limited to separating your image in half - meaning you would have to have your horizon line dead-center in the image - something you DON'T want to do (read the section below on "Composition"). 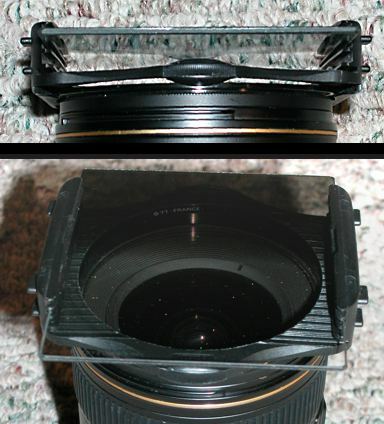 The holder screws into the front of your lens, just like a traditional round filter would. You then slide the rectangular filter into the holder. This allows you to place the horizon line anywhere you want within the frame, as you can slide the filter up or down, or even rotate it. This gives you the most flexibility. Here is the original image (top) that was taken without the graduated neutral density filter, and the one (below) that was taken with it. The image taken with the filter shows how the contrast was reduced enough for the camera to capture the detail in the foreground. Here's another example of how the Graduated Neutral Density filter helps tame contrast. The top image was taken without it; the bottom one with it. The bottom image has deeper colors in the sky and more detail in the foreground. If you want to capture detail in the foreground, just use a graduated neutral density filter! An adapter ring - this is a metal ring that you attach to the above holder that screws into your lens. You will need to purchase this ring in the size required by your lens. Common sizes are 52mm, 55mm, 62mm, 77mm, etc. The filter itself - these come in resin or glass. Resin is lighter, but scratches easily; glass is a bit heavier, but doesn't scratch very easily. The filters come in varying strengths - ND2 (1-stop), ND4 (2-stop) and ND8 (3-stop) - the latter having the most impact. They also come in soft and hard-edged. The soft has a more gradual transition from clear to shaded, but frankly, it's unlikely you'd see a difference. We recommend an ND8 (hard or soft) to begin with. You can usually purchase a "kit" with everything you need. You can see a variety of kits here. Note: In addition to the Cokin "P" size, there are also larger sizes. 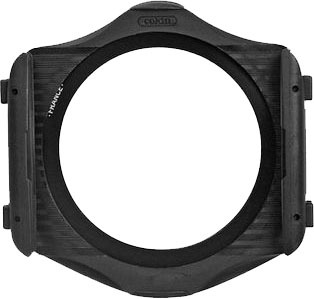 The Cokin "P" filters are 3.3 inches x 3.9 inches (84mm x 100mm) in size and fit most lenses. Larger lenses, and certain very wide-angle lenses require a larger filter. The Cokin Z-Pro filters (and holder) are larger - these filters are 4 inches x 6 inches (100mm x 150mm). There are even larger versions for very large/wide-angle lenses, up to 6.5 inches x 7.8 inches (165mm x 200mm). Since there is high contrast in sunrise and sunset images, your camera tries to expose for BOTH the highlights and shadows - but it can't do this! Thus, the dark foreground causes your camera to let more light in to the sensor to help capture detail in the forground. What this does is to expose neither the foreground or background properly, so BOTH look bad! The foreground has some detail, but not enough; the sky is "washed out" - the great sunset colors are gone! The solution to this is to use a feature on your camera called "Exposure Compensation" (see this eTip for more info). Most cameras make this feature very easy to use, as it is a very important feature. You can tell your camera that you want to get more color in the sky by telling it to "underexpose" the image. You do this by selecting "minus" exposure compensation. The image to the right shows how exposure compensation is set on various cameras - consult your manual or CheatSheet to see how to set it on your camera. The following images show the effect of exposure compensation. The image on the left was taken letting the camera determine the exposure. The result is some detail in the foreground, but no color in the sky. The image on the right shows no detail in the foreground, but nice color in the sky. Exposure compensation is the best tool you have if you're not using a graduated neutral density filter, and sometimes, using both works very well. Low Light - How steady can you hold your camera? Low light can mean slow shutter speeds. Slow shutter speeds mean blurry pictures - unless you can stabilize your camera with a tripod or other means. 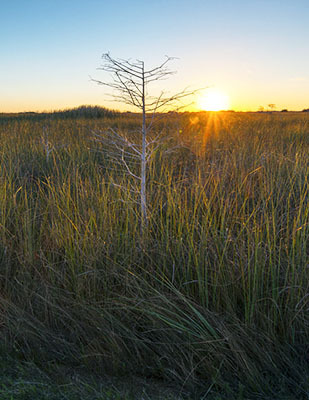 We can't over-emphasize the need for a tripod with sunrise or sunset pictures. Use a high ISO speed - this may reduce the color saturation and may cause unwanted noise. But, it will allow you to shoot at faster shutter speeds, so you don't need a tripod. 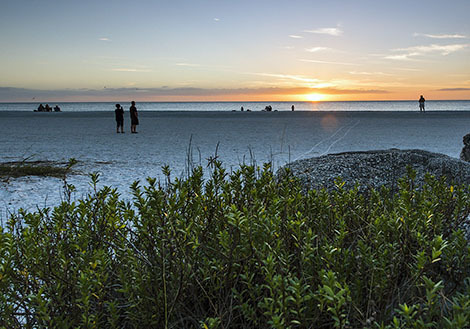 You have many choices when it comes to photographing sunsets. Your choice of lens focal length has a LOT to do with the resulting image. For example, the following two images were taken moments apart - one with a wide-angle lens (24mm) and one with a telephoto lens (300mm). 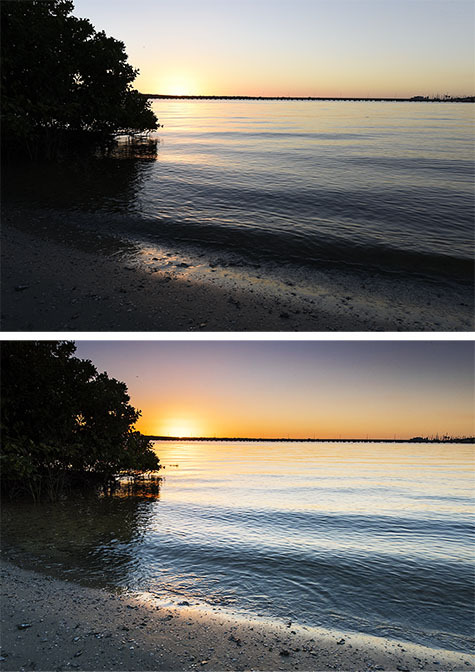 The two images are completely different - but are of the same sunset. Usually, but not always, placing the horizon line in the center of the frame will make the image look less interesting. Another aspect of composition that you should look for is in "tonal values". One of the most compelling types of scenes is where warm and cool tones meet. Sunrises or Sunsets are typically warm toned. But, often there is a complimentary color in the sky: blue. 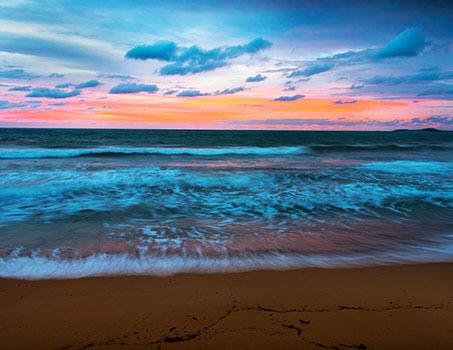 Warm and cool tones can make for superb images, so when shooting your sunsets, try to get both tones in your images. Remember, the rules of composition are made to be broken - but if you do break them, be sure you break them with good a goal in mind. 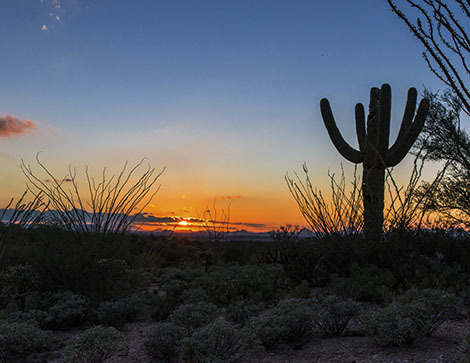 If you want colorful sunset pictures, you must underexpose - anywhere from 1 to 3 stops using exposure compensation. Although, if you use a graduated Neutral Density filter, you may not need to underexpose. 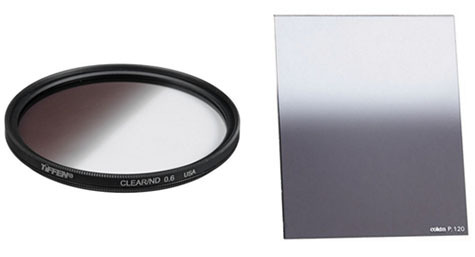 The graduated neutral density filter will also provide you with a much more natural looking image. If shooting JPEG images, you will need to set the White Balance to "Daylight". To prevent blurring, use a tripod, or physically stabilize your camera. And lastly, pay attention to the composition!